Shopping for a new home in Parker, Colorado? Be sure to check out the Dove Village neighborhood. Lennar is currently building homes from their Monarch and Grand Collection at Dove Village in Parker. Lennar is also offering one floor plan in this community from their NextGen Collection of homes. NextGen homes are homes built with a suite within the home. The suite offers an additional living space which includes a mini kitchen, laundry closet, bedroom and bathroom. The NextGen homes are ideal for families that have an elderly parent living with them or a nanny. It offers privacy and togetherness at the same time! Base prices in this collection range from the high 400’s to the high 500’s. But remember with Lennar it’s much easier to keep your purchase price close to the base price than with most builders. 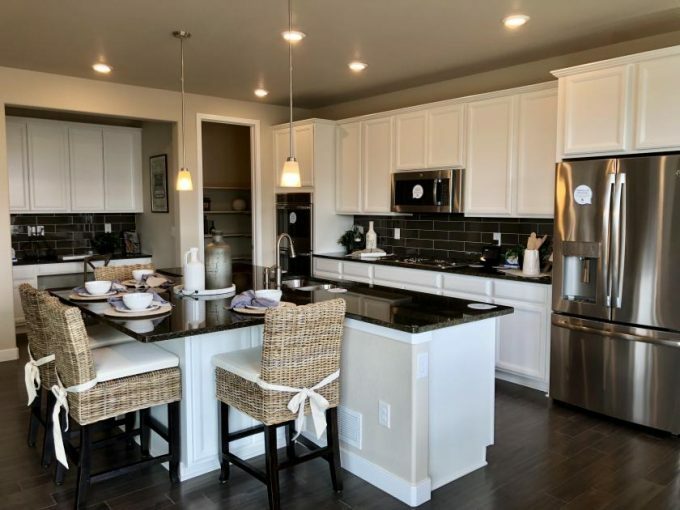 Homebuyers have their choice of eleven floor plans at Dove Village in Parker. And there are a whopping seven model homes onsite to tour. Be sure to check out the videos below for full walking tours of the models! The HOA fees at Dove Village are low at $55 monthly. Part of the reason that the HOA is lower than many new communities in the area is that there is no pool or clubhouse in this neighborhood. Click here to lean more about the Dove Village HOA. To see these homes in person contact Courtney Murphy. Courtney is a Denver metro Realtor with ample experience in both resale and new built home sales. Don’t start your house shopping without calling Courtney first!